Lens correction is a great tool to use in post-processing digital images, helping you improve their appearance by making photographing mistakes less visible. Some of the common types of image distortions which can be fixed using Lens correction are: barrel or "fish-eye" distortion, which involves an oversized image center and shrinking edges, pincushion distortion, where the image frame seems to be bowed inwards and complex or "moustache" distortion, which is a combination of the previous two. 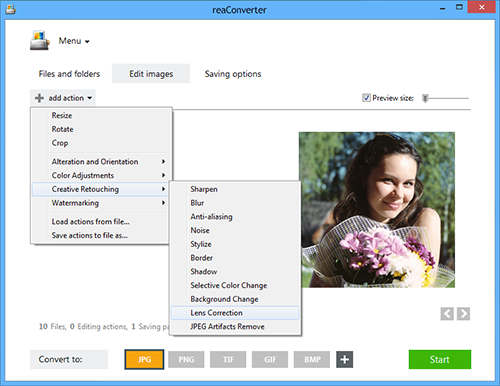 While many people think that applying Lens correction requires an advanced graphics editing software such as Adobe Photoshop, Corel Draw or GIMP, with reaConverter this editing feature can be added in a matter of seconds. 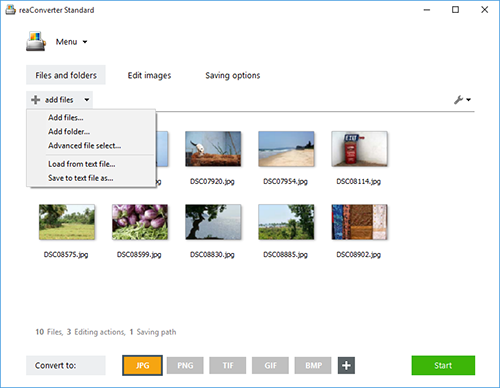 Load one or more images you intend to correct by using the drag-and-drop tool or by adding them manually. You will now be able to customize the intensity of the correction using a handy scroll bar. Make sure the Preview box is ticked, so that you can check the real-time effect of your editing in the right side of this window. Go the Saving options tab and decide on a location for the newly edited images. 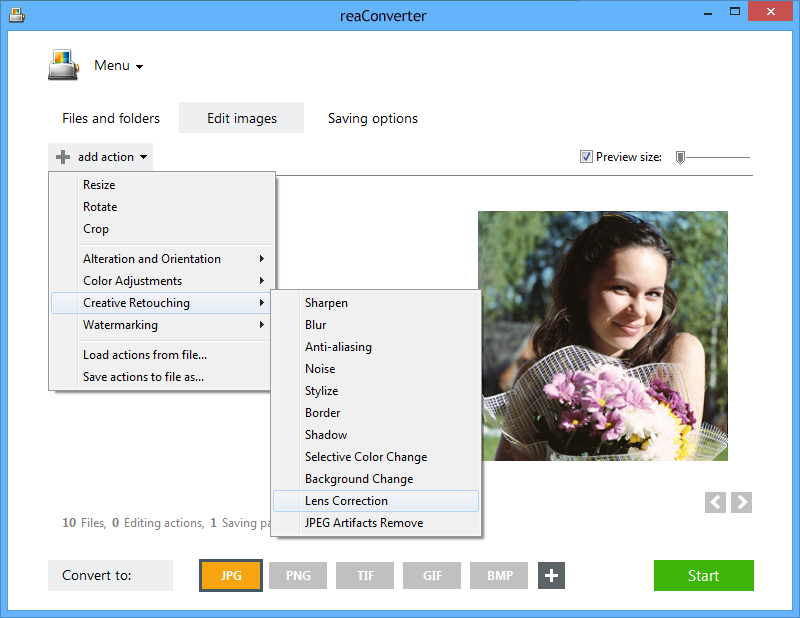 reaConverter allows you to save locally, either in the source folder or in another customized location. Before starting the Lens correction process with reaConverter, don't forget this powerful software also supports conversion to a large number of image extensions, including popular, as well as archaic and rare ones. Pick your favorite from the buttons placed in the lower part of the screen, or click the Plus button for more options. 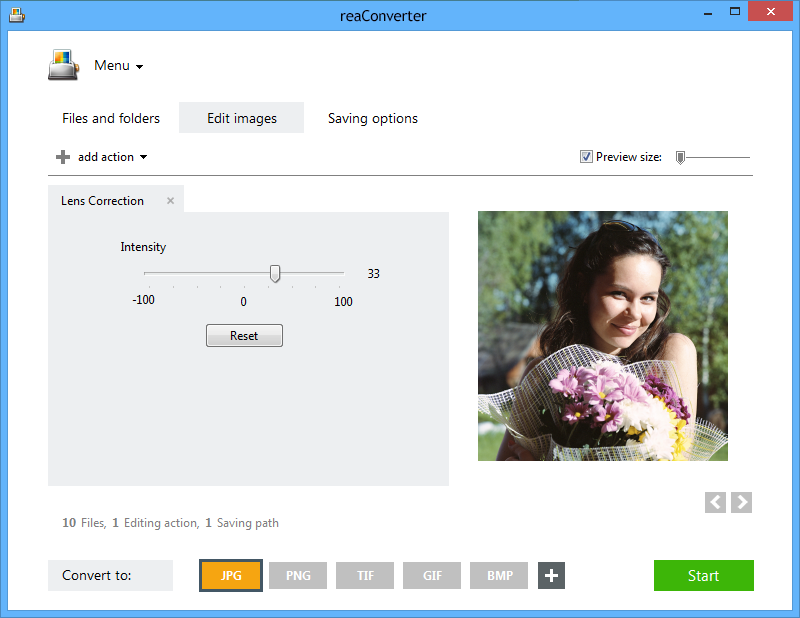 Next, press Start and watch the dialogue box to see when your new images are ready. Command-line lens correction tool is an advanced feature meant for professional use, and is available in Pro edition only.